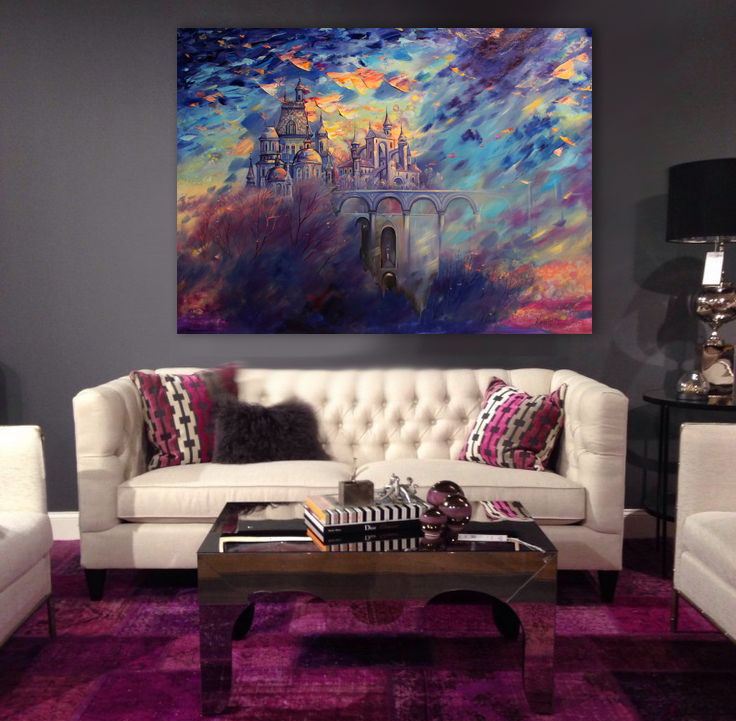 This is a Hand embellished printed canvas "Impossible Worlds" - FINE ART GICLEE. Fantastic Landscape with Impossible Architecture and a Fairytale Castle. Expressive brushstrokes gives personality and uniqueness to the artwork. Amazing surreal landscape in expressive style. 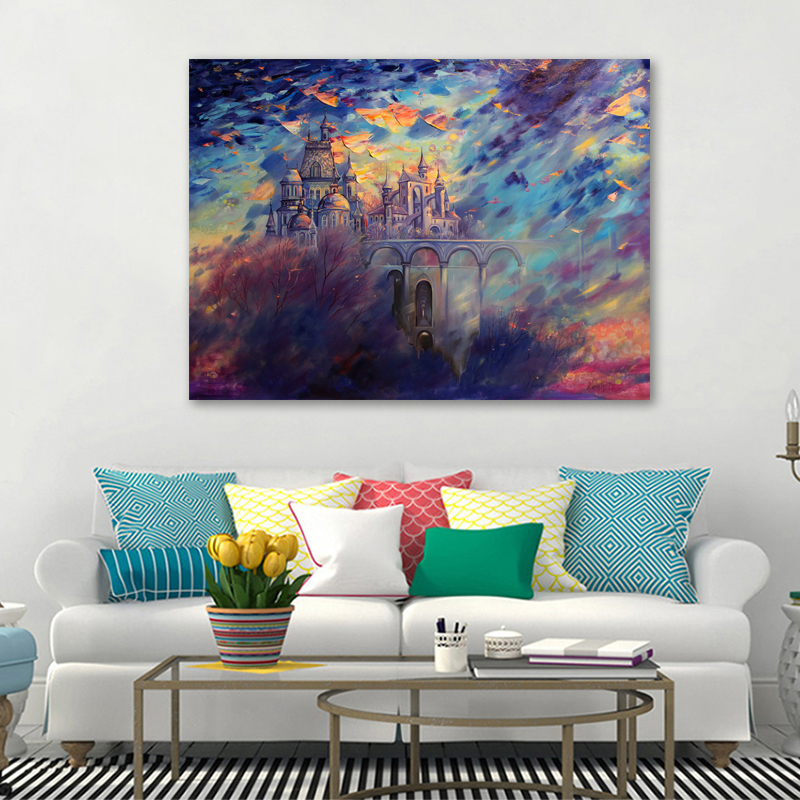 Giclee Canvas print of Original Oil Painting –“Impossible Worlds” by Dmitry King, FineArtKing Studio, Bulgaria. Original is available here. 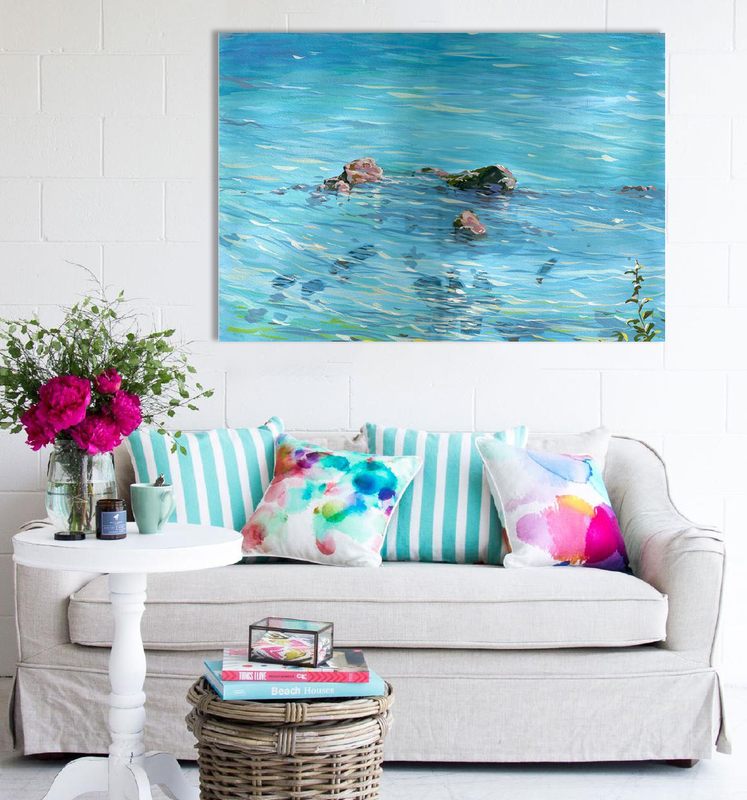 Canvas art print size 50x40 cm arrives ready to hang with no additional framing required. The piece is ready to hang as soon as you unpack it. Canvas art print size 70x60 cm arrives rolled up in a tube. Unstretched. If you require to be shipped ready to hang please contact me for a shipping quotation.